It’s amazing any of us survive. Even armed with all the love in the world and the best of intentions, parents unavoidably execute small brutalities upon their children that cannot help but leave lingering scars. We are the sum total of our experiences and all those little cuts from those we love and depend on eventually make the most festering of wounds. Then later, possibly, we ourselves become parents and subsequently wade into the knife fight that is child-rearing, nicking and piercing inadvertently, wounding though sometimes with purpose. It is the great failure of our lives as adults, no matter what little successes we can celebrate. When we take that cold, hard look at the face behind the mirror, only the liar will not burst out weeping. 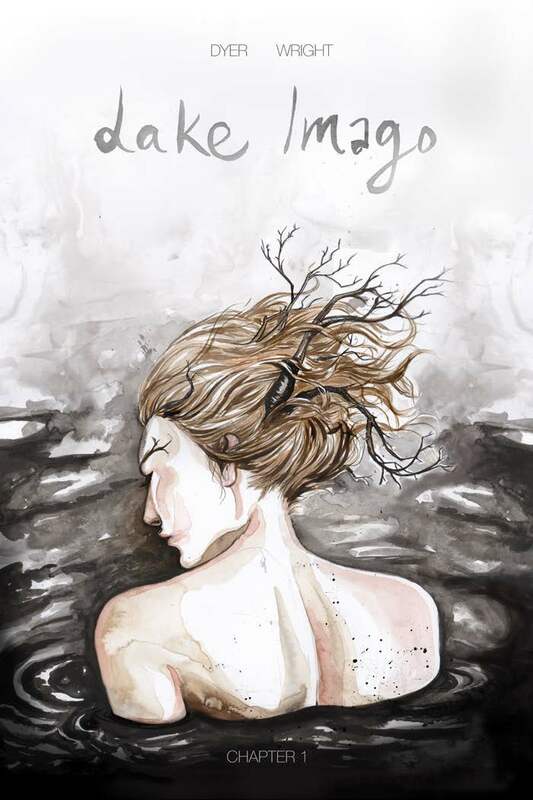 There is a subtext of this sort of injury and defeat that suffuses Eddie Wright and Jamaica Dyer’s new self-published comic Lake Imago #1. It is also, as Nick Hanover wrote about it at Loser City, a “study of depression and grief”. Lake Imago wears all the easy-fitting trappings of a classic horror story: three young girls (a wild one, a sensible one, and one that is withdrawn and moody) take off on a camping trip to an out of the way lake in order to get away from it all, heal, bond, and celebrate. But Dyer and Wright aren’t content to let the genre tell the story, instead there is a greater mystery and a richer end seemingly oozing behind that which otherwise would be well trod and flat. Much of this is because of Dyer’s choices in the art in this first issue. 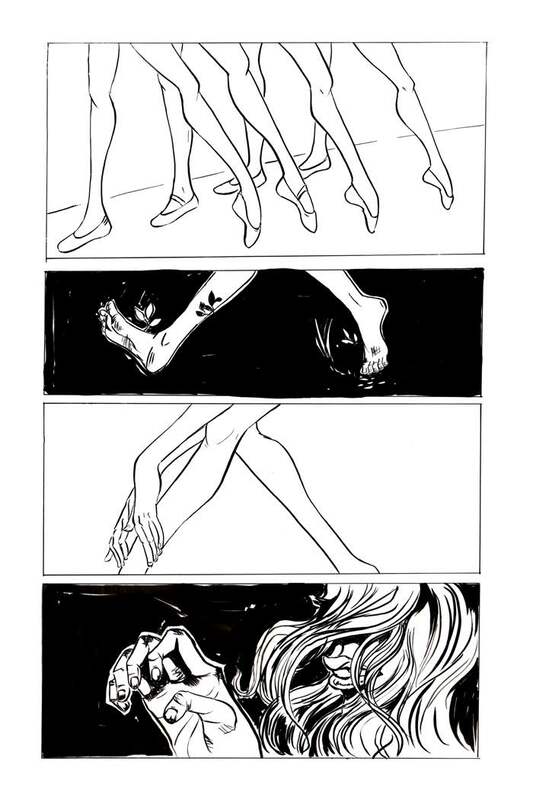 Dyer instinctively knows when to pull back and erase everything behind the characters, eliminating her otherwise detailed backgrounds, allowing the negative space to focus the observer on the emotional beat of the moment; then, in the next panel, wash everything in the environment is the deepest black ink, reversing yet pushing forward everything and anything. Much of what is occurring, even in seemingly static moments, hums with the possibility of movement: character's legs stretched like elastic bands ready to snap back, hallucinatory whirls and swirls adding further rhythm to whatever refrain that is building here in this initial chord structure. So much of the storytelling is done through Dyer’s art that writer Eddie Wright has little obligation to fill the pages with words. Wright grasps the power of the soft voice and it is on full display here, just as it is in his other impressive work, Tyranny of the Muse. Wright is exploring the potential and the weight of the damage we carry in our lives. Each of his three main characters are awash in guilt or pain or denial, everyone needs healing, all three cling to each other in their own way, either through justification or longing or validation. 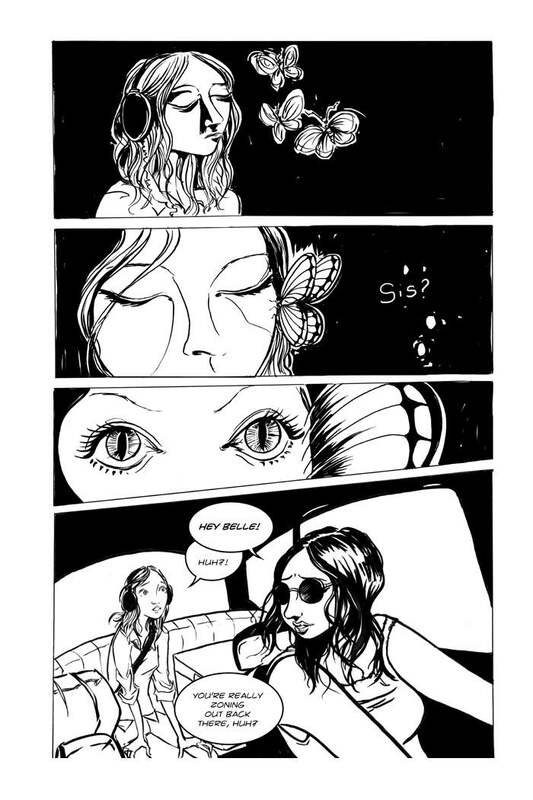 Yet strange things are bubbling under the surface and while issue one serves as setup, it hints at horrors yet to come. As much as each of these characters are relatable as they are reflections of aspects of ourselves and the ways we cope with where we have been, Wright and Dyer set the stage to smash this mirror and, in those cracks, unleash our nightmares.